It’s nearly impossible to talk about modern robotics without mentioning Boston Dynamics. The YouTube videos of their quadruped and biped creations sprinting up hills, opening doors, and being aggressivley kicked by people have earned them viral fame, and have even landed one of their bots on an episode of “Silicon Valley.” So far, the company has been focused more on proving concepts rather than commercial production, but that may soon be changing. The company’s founder, Marc Raibert, recently announced his plans to begin selling one of their quadruped robots, known as SpotMini. Seeing as this model can climb stairs and be equipped with attachments like articulating arms, the usefulness of this robot may soon propel it into industries like construction. Making a human-like robot approachable and likeable is hard, but Promobot may be on to something. 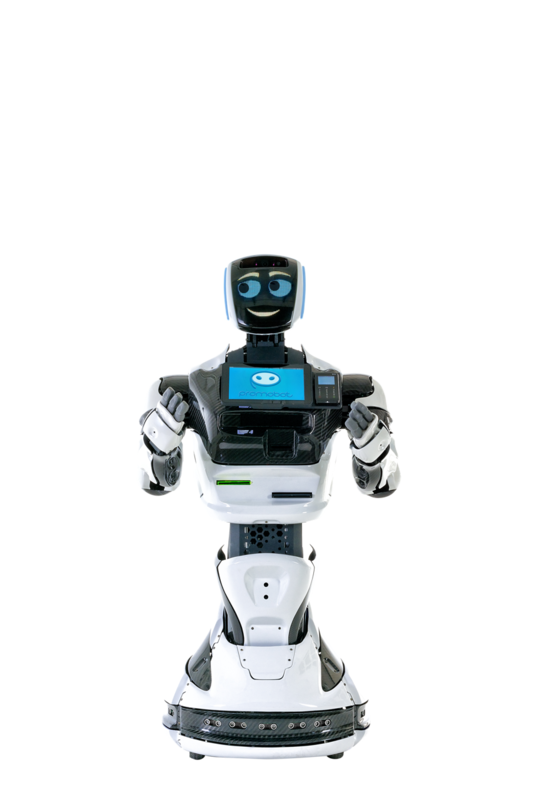 Their humanoid assistant robot is already in use in over 27 countries in places like museums, airports, conferences, and retail environments. The robot’s laundry list of functions includes face detection, multi-lingual support online and offline, printing abilities, autonomous movement (that includes dancing), and interactive touchscreen support. Headed by Oleg Kivokurtsev, a Forbes’ 30 Under 30 member, the company is currently working on adding advanced language features and working with other startups to develop additional applications like weapon detection capabilities. Cruise made headlines last year when they announced they had raised $1.65 billion in 2018 alone. The GM-owned robotics company focuses on self-driving vehicles, and unlike other car companies which transport people, Cruise’s aim seems to be transporting goods instead. The company recently announced a partnership with DoorDash to start a pilot program delivering food to San Francisco residents using its self-driving cars. Cruise hasn’t released many details about the program other than that it is planned to take place in early 2019, and that, at least for the time being, humans will be behind the wheel to make sure nothing goes wrong. There’s an old saying that says if something isn’t broke, don’t fix it, and it’s this philosophy that seems to guide the innovation at Harvard’s Wyss Institute Bioinspired Soft Robotics Labs. Taking inspiration from human and animal anatomy to apply to their creations, the lab is split into a couple different focuses: the biodesign lab works on human performance-augmenting applications like exosuits and walking-assisting apparatuses, while the microrobotics division develops nature-inspired robots like the paper clip-sized RoboBee. They were also recently visited by Bill Gates, too, which would make just about any lab watch-worthy in our book.